A ship carrying some 5,500 tonnes of flour has docked in Yemen’s Red Sea port of Hodeidah. It’s the first commercial ship to enter the port since a Saudi-led coaltion imposed an air, land and sea blockade in a bid to halt the flow of weapons into Yemen. “Our first priority is to keep the food flow intact, of the humanitarian pipeline of food assistance,” said World Food Program Country Director Stephen Anderson. “So we are targeting first and foremost seven million people who we consider to be closest to a situation of potential famine”. 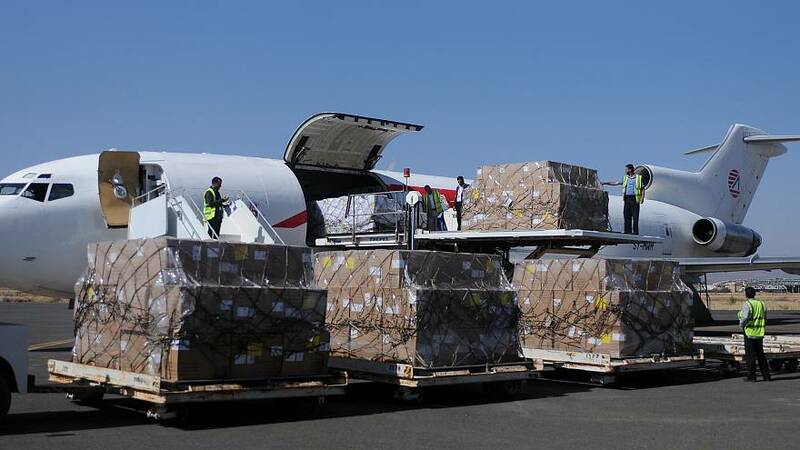 Two shipments of humanitarian aid also arrived at Sanaa airport. Both carried medical supplies, including polio vaccines. They also carried UNICEF and Red Cross aid workers. Yemen is in the grip of a humanitarian crisis that has pushed some seven million people to the brink of famine and left nearly 900,000 infected with cholera. The country has endured a two-and-a-half-year war involving Houthi rebels and an internationally recognised government backed by Saudi Arabia and other key Gulf states.